Indy (or Indiana when he's being naughty!) is our Austin x Sierra son and Shania's younger brother. 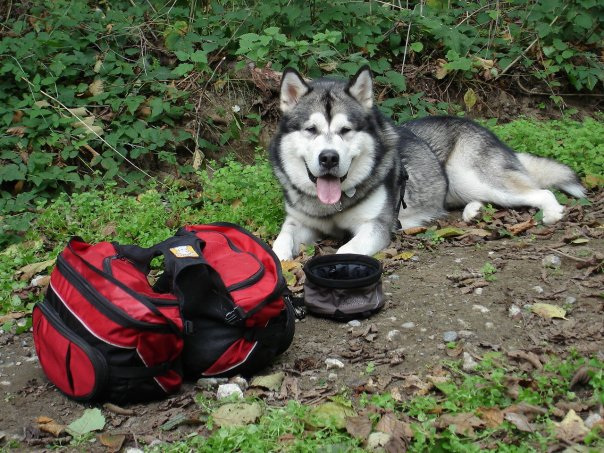 He is a very intelligent, happy and easy going boy who loves being with his humans. Indy's first show was at 6-1/2 months old and he began his show career with a Best of Breed win and 6 months later he was a Champion, at just 12-1/2 months old! At 13 months old he completed his International and National Championships with multiple group placements, a Reserve Best Puppy In Show and 2 Reserve Best Bred-By Puppy in Show wins. At 14 months old and on his first try, he passed his Canine Good Citizen Test. Along the way Indy also won a Best Puppy in Sweepstakes and a Bred-By Group placement. Indy finished 2008 as AMCA's #3 Puppy and #1 PNW Area Puppy and also earned an invitation to the AKC Eukanuba Classic show. 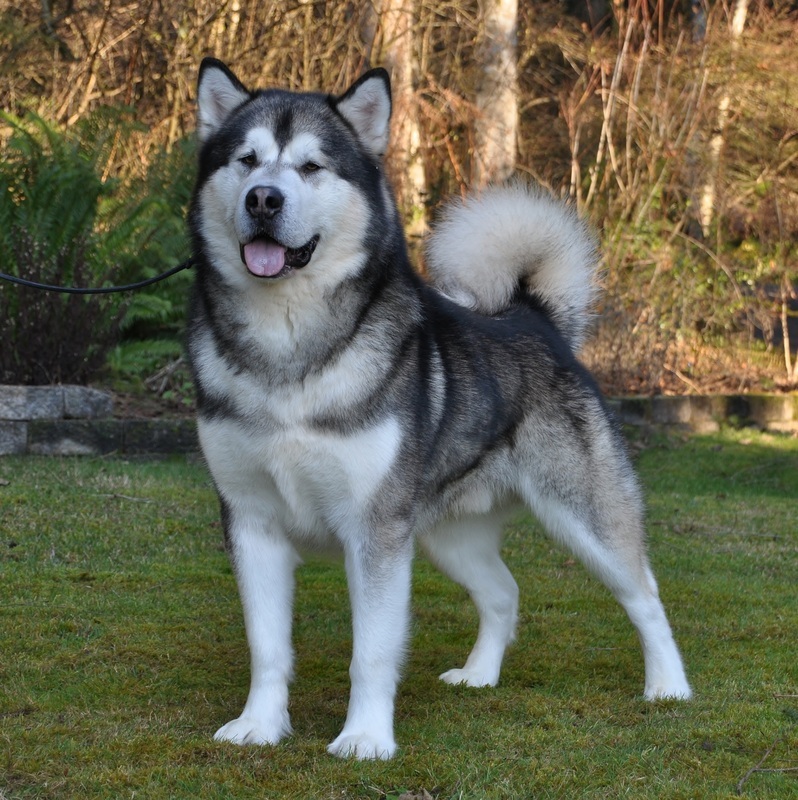 Indy spent 2009 growing up, but did attend the Snow King Alaskan Malamute Fancier's specialty show and earned his first Award of Merit at 23 months old. Indy has taken over for dad Austin and sired his first litters in 2011. Son Bodhi and grandson Chase carry on Indy's good nature and want to please attitude! Always ready for an adventure! Be sure to also visit Indy's litter sisters: Lacee and Sonho.